A favorite original of C Jean Horst. 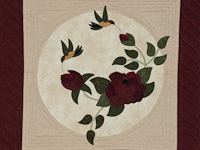 Her quilt size design is now available in a size small enough to fit most any wall. 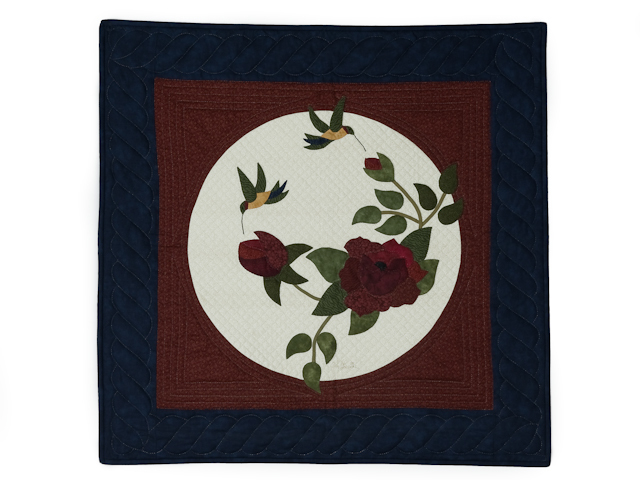 Beautiful navy and burgundy border with appliqué roses in burgundy and humming birds just like the ones in Jean's garden. 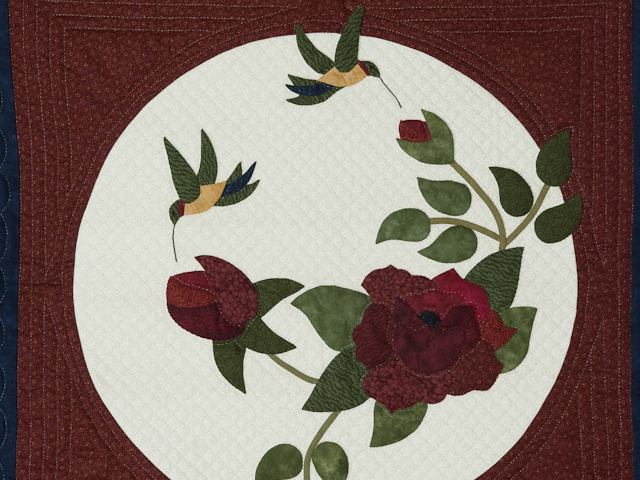 The background is a circle sewn into a circle to create a focal point for the appliqué, even letting it spill out across the seam. 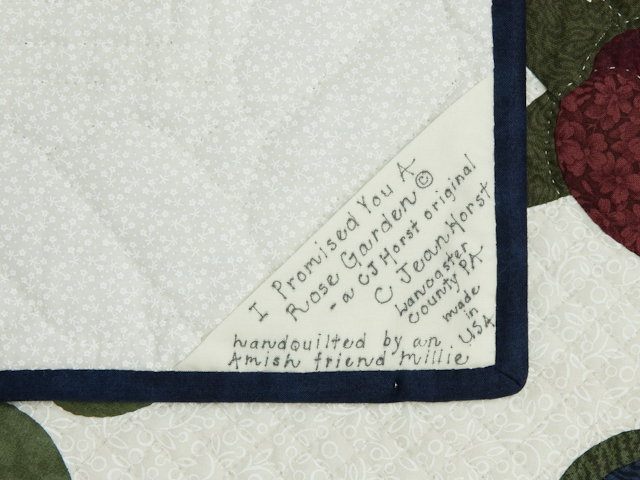 Made here in Lancaster and quilted by an Amish lady using 8 perfect hand quilted stitches per inch. 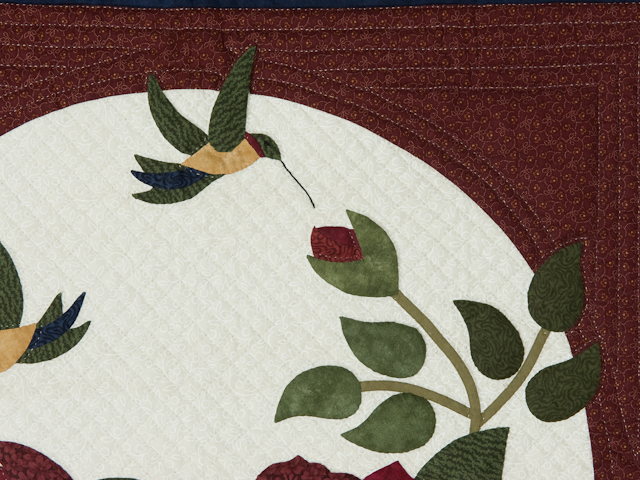 Not only are the stitches perfect, but the quilting is exceptionally fine in the center behind the appliqué designs, making it worthy of exceptional. 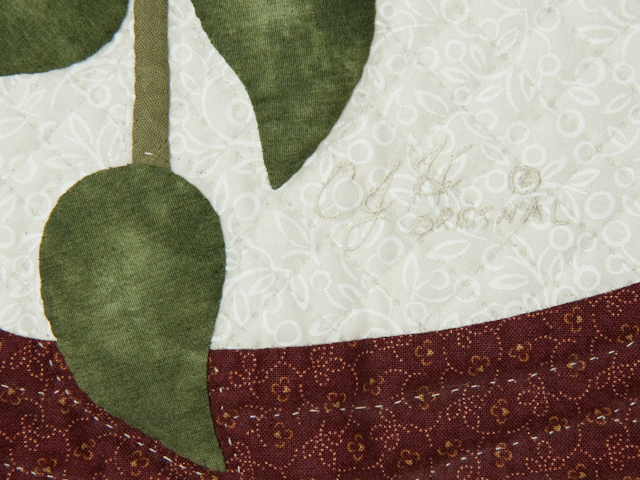 The backing has a beautiful light tone on tone print and the corner tag has all the documentation recording the name of the pattern, the maker, the fabric content, the origin and a notation - made in America. 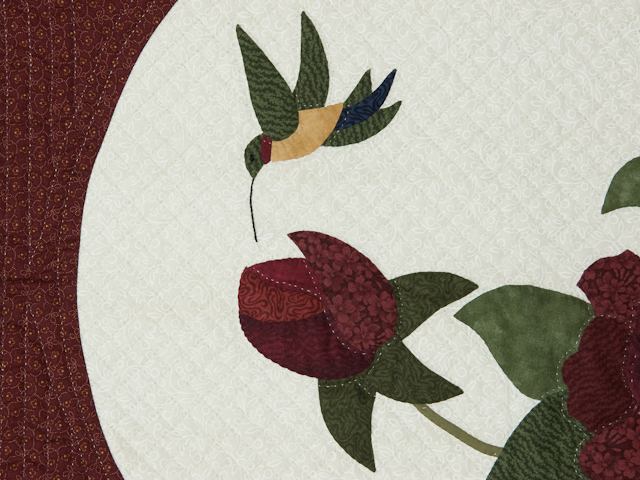 A little beauty that can be easily added to your collection. 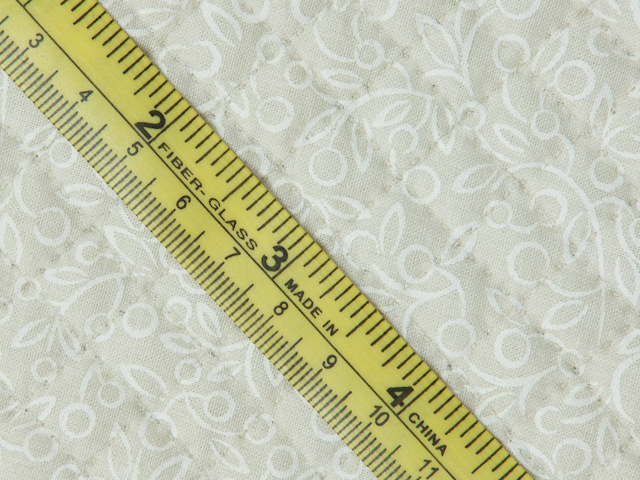 It's an eye catcher for your dining room, bedroom, or bathroom. Fits anywhere. Custom colors available too.